I almost always start by stretching the fabric on a large padded table that I have in the studio. Typically I have made a deconstructed silk screen using thickened and dried reactive dyes and I transfer this to the stretched silk with more thickened dye. Kerr Grabowski taught me this method and I love the marks that it leaves on the silk. 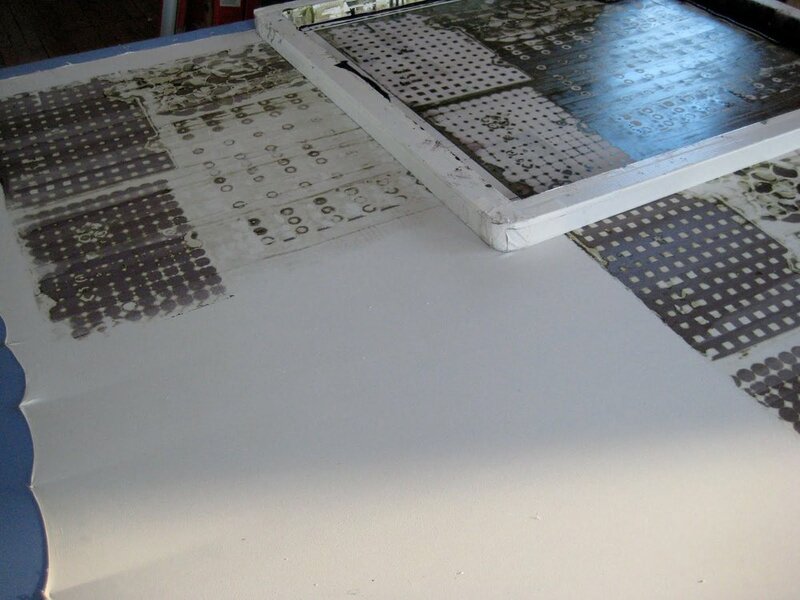 I print the screen the length and width of the pinned fabric and each time I print it the image changes as it is essentially a monoprint process and the dried dye is dissolving with each transfer. Once the first layer is down I decide how I want to work back into it. I can draw directly, screen another layer, roll on dye... there are lots of ways to attack this surface and I have no set pattern.